BellaVita focuses on enriching the lives of the hardworking middle class by offering their families a home to be proud of one that is nestled in a peaceful and safe community, accessible to public transportation, beautifully and practically designed, and one that will prove reliable performance over time. BellaVita - a residential project developed by BellaVita Land Corp., a wholly owned subsidiary of Ayala Land. BellaVita aims to bring Ayala Land's singular vision of enhancing land and enriching lives for more people. 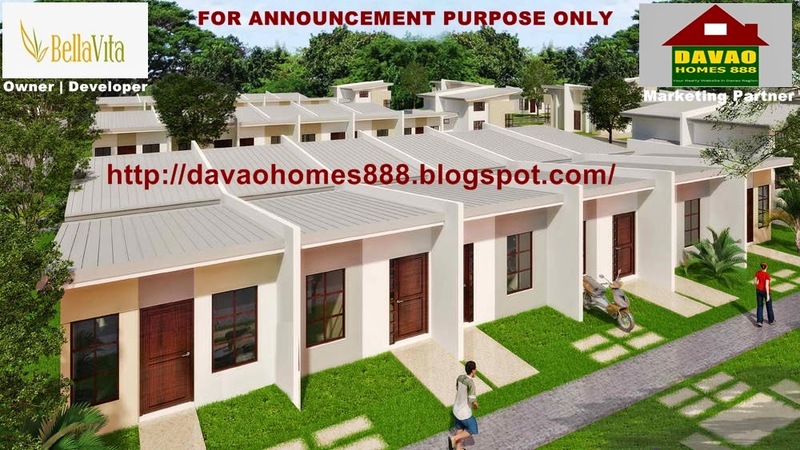 The first Eco-Socialized project, BellaVita Davao, offers a quality homes that allow residents to enjoy a comfortable living experience...from the house designs to the village features, one will get a sense of how living and livelihood maybe seamslessly integrated. With BellaVita, minimum wage earners and members of the informal business sector is given the chance of experiencing the pride of owning a home. The developer is on the process of procuring the HLURB License To Sell (LTS) of this project.